SAN FRANCISCO -- After an impressive performance for many major commodities in the third quarter, investors are left wondering which ones still have legs to dance their way higher, and which are poised to take a tumble. The short answer to that from analysts is that gold and oil are likely to advance, while grains and sugar are among those that probably won't, but there will be a lot of different factors to consider. 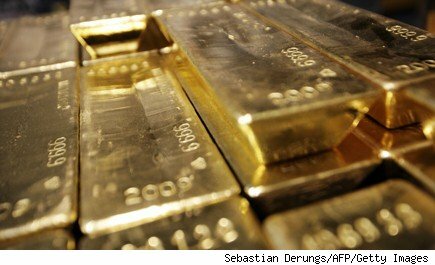 "Thus far, 2012 has proved a fertile environment for commodity price appreciation," said Viktoria Palushaj, market analyst at investment firm CitrinGroup in Birmingham, Mich.
"Easy monetary policy around the globe has created a boon for investors, and promises to accommodate throughout the fourth quarter," she said. As of Thursday, quarter-to-date results show that futures prices for silver, heating oil , Brent crude, platinum and corn were the bigger winners among commodities, while orange juice and sugar were among the few decliners. Silver rose more than 25% and heating oil added over 14%, quarter to date futures prices, based on the most-active contracts, compared with advances of about 11% in gold and around 8% in crude oil. Orange juice has lost more than 6%. "As governments print more and more money, all commodities are rising in price as measured in those currencies," said James West, portfolio adviser to the Midas Letter Opportunity Fund. "The more money printed, the less investors are going to value paper assets and the more they will seek to hold the real assets -- commodities." The European Central Bank, U.S. Federal Reserve and Bank of Japan have all announced bond-buying plans in recent weeks, a move which tends to devalue the currencies of the countries undertaking them and adds to the appeal of dollar-denominated commodities. So far, "commodities have delivered investors incredible returns, as well as risk," said Kevin Kerr, president of Kerr Trading, noting that his own advisory has seen triple-digit gains from gold, silver, grains and others. Looking ahead, Terry Connelly, dean emeritus of the Ageno School of Business at Golden Gate University, said he believes that all basic industrial commodities are likely to fall in the fourth quarter, "as the fiscal cliff comes into sharper view post-[presidential] election and investors begin to factor in the strong potential for a U.S.-led global recession early in 2013." Still, "commodities generally could rise or break their fall somewhat" in the fourth quarter, Connelly said. That's "if the Fed and ECB ... [make a] move in December with additional QE in the U.S. and a rate cut in Europe along with activation of the ECB bond-buying program." So for now, there are few things investors can be sure of when it comes to the commodities market. "We have now entered into a split commodity universe," West said. "The commodities whose prices rely on a thriving economy will fall, while those whose prices are driven by scarcity will rise." "It's a veritable minefield, but fortunes will be made in the next few quarters in commodities," he said. Analysts generally had a short, but strong, argument for further advances in the precious metal. "Gold has a new demand engine underneath it again, with both the ECB and the Fed printing money on an unlimited basis," said West. "The looming fiscal cliff of the budget cuts combined with the debt ceiling is also likely to drive investors to gold and silver." The white metal is likely to rise along with gold, but it does have added risks, analysts said. Silver "stands to benefit from all the central bank easing as a store of value against the devaluation of all paper currencies," said Elliott Orsillo, co-founder and portfolio manager at Season Investments LLC. "Given weak global economic conditions, demand fundamentals for oil don't support further price rises," said CitrinGroup's Palushaj. "However, supply concerns do." Overall, oil remains volatile due to the "extreme uncertainty throughout the Middle East in general and all-too-political pledges of pumping more by the Saudis, said Kerr, who will host the TV show Resource Renegade on TLC next year. "With cold weather approaching, natural-gas and heating-oil prices are most likely to rise,' said Palushaj, with the degree of the price rise depending on the severity of winter weather. But Palushaj said that despite the oversupply, "prices are still expected to rise with demand for heating fuel in the winter months." "This year we saw record-high prices across the board for corn and soybeans, along with a spike up in wheat due to extreme weather conditions," said Season Investments's Orsillo. "The seasonal nature of these commodities means that the market will start to look past the shortage we are facing in the near term due to this year's poor crop, and start to price in a standard crop yield for next year," he said. "This should put downward pressure on the elevated prices in the agricultural complex." "Sugar prices have fallen all year and the downtrend is expected to continue," said Palushaj, noting that the International Sugar Organization has estimated that an oversupply will persist in the market for the rest of the year. "Drought and dry weather conditions this summer did not affect sugar production," she said. And "successful sugar cane harvests in producers such as Brazil, India and Thailand have helped supply the market." Platinum prices, which had rallied on the heels of a labor strike at South Africa's Lonmin PLC, have pulled back since news of the strike's end broke over a week ago. But analysts have mixed outlooks on the metal given the risks. Midas Letter's West sees platinum as a potential gainer in the fourth quarter, pointing out that "platinum will be driven by supply disruptions likely to spread to other producers, as the 'one-upmanship' game makes miners' demands increasingly unrealistic." But Palushaj said the metal is among likely decliners. "Although it remains unclear whether the labor unrest is over, platinum production is expected to resume in [South Africa], possibly helping prices drop in the fourth quarter from previous highs," she said. "Global demand for copper remains as firm as the Statue of Liberty (which is made out of copper), but global supplies are simply limp as a dishrag, which will pull prices higher," said Seth Rabinowitz, who covers commodities as a partner at Silicon Associates. -- Myra Saefong is a MarketWatch reporter based in San Francisco.